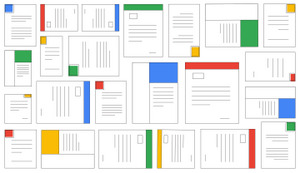 Editor’s note: Senior Product Manager Berit Hoffmann leads Hire, a recruiting application Google launched earlier this year. In this post, she shares five ways businesses can improve their hiring process and secure great talent. With 2018 quickly approaching, businesses are evaluating their hiring needs for the new year. According to a recent survey of 2,200 hiring managers, 46 percent of U.S. companies need to hire more people but have issues filling open positions with the right candidates. If your company lacks great hiring processes and tools, it can be easy to make sub-optimal hiring decisions, which can have negative repercussions. 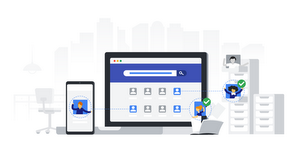 We built Hire to help businesses hire the right talent more efficiently, and integrated it with G Suite to help teams collaborate more effectively throughout the process. As your business looks to invest in talent next year, here are five ways to positively impact your hiring outcomes. 1. Define the hiring process for each role. Take time to define each stage of the hiring process, and think about if and how the process may need to differ. This will help you better tailor your evaluation of each candidate to company expectations, as well as the qualifications of a particular role. Earlier this year, Google reviewed a subset of its own interview data to discover the optimal number of interviews needed in the hiring process to evaluate whether a candidate is right for Google. Statistical analysis showed that four interviews was enough to predict with 86 percent confidence whether someone should be hired. Of course, every company’s hiring process varies according to size, role or industry—some businesses require double that number of interviews, whereas others may only need one interview. Using Hire to manage your recruiting activities allows you to configure as many hiring process “templates” as you’d like, as well as use different ones for different roles. For example, you might vary the number of interview rounds based on department. Whatever process you define, you can bring all candidate activity and interactions together within Hire. Plus, Hire integrates with G Suite apps, like Gmail and Calendar, to help you coordinate the process. 2. Make jobs discoverable on Google Search. For many businesses, sourcing candidates is one of the most time-consuming parts of the hiring process, so Google launched Job Search to help employers better showcase job opportunities in search. Since launching, 60 percent more employers show jobs in search in the United States. Making your open positions discoverable where people are searching is an important part of attracting the best talent. If you use Hire to post a job, the app automatically formats your public job posting so it is discoverable by job seekers in Google search. 3. Make sure you get timely feedback from interviewers. The sooner an interviewer provides feedback, the faster your hiring team can reach a decision, which improves the candidate’s experience. To help speed up feedback submissions, some companies like Genius.com use a “silent process” approach. This means interviewers are not allowed to discuss a candidate until they submit written feedback first. Hire supports this “silent process” approach by hiding other people’s feedback from interviewers until they submit their own. We’ve found that this can incentivize employees to submit feedback faster because they want to see what their colleagues said. 63 percent of Hire interviewers leave feedback within 24 hours of an interview and 75 percent do so within 48 hours. 4. Make sure their feedback is thoughtful, too. Writing vague statements or summarizing a candidate’s resume. Restating information from rubrics or questionnaires rather than giving specific examples. Getting distracted by personality or evaluating attributes unrelated to the job. One way you can encourage employees to stay focused when they interview a candidate. is to assign them a specific topic to cover in the interview. In Hire, topics are included in each interviewer’s Google Calendar invitation for easy reference without having to log into the app. Maintaining a high standard for written feedback helps your team not only make hiring decisions today, but also helps you track candidates for future consideration. Even if you don’t hire someone for a particular role, the person might be a better fit for another position down the road. In Hire, you can find candidates easily with Google’s powerful search technology. Plus, Hire takes past interview feedback into account and ranks previous candidates higher if they’ve had positive feedback. 5. Stop letting internal processes slow you down. If you don’t manage your hiring process effectively, it can be a huge time sink, especially as employers take longer and longer to hire talent. If your business lags on making a decision, it can mean losing a great candidate. Implementing a solution like Hire can make it a lot easier for companies to move quickly through the hiring process. Native integrations with the G Suite apps you’re already using can help you cut down on copy-pasting or having to jump between multiple tabs. If you email a candidate in Gmail, it’s automatically synced in Hire so the rest of the hiring team can follow the conversation. And if you need to schedule a multi-slot interview, you can do so easily in Hire which lets you access interviewer availability or even book conference rooms. Since launching in July, we’ve seen the average time between posting a position and hiring a candidate decrease from 128 days to just 21 days (3 weeks!). Hiring doesn’t have to be hard. Request a demo of Hire to see how you can speed up talent acquisition. 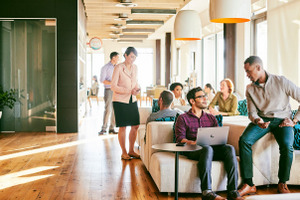 Or learn more about how G Suite can help your teams transform the way they work.